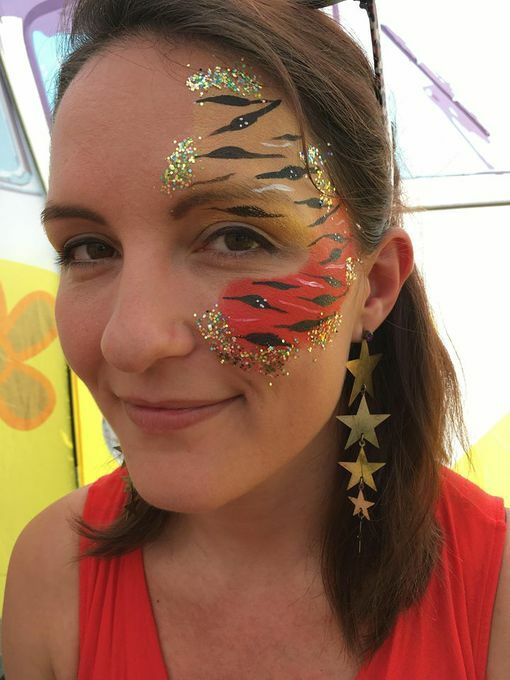 My name is Katy and I offer face painting, glitter tattoos and princesses at any event and festival as well as offering pamper parties for something slightly different. 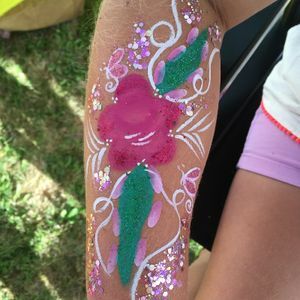 I can do a variety of face paint designs and have a variety of glitter tattoo choices and colours to cater for any event whether it's a themed event or unthemed. 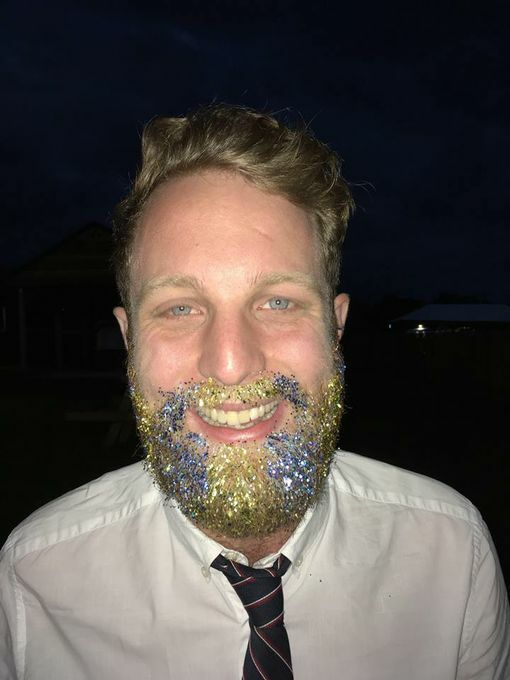 I provide face painting and glitter tattoos for all types of events from birthday, Christmas and office parties, Christenings, music festivals, nightclubs, pubs, wedding and corporate events etc. I hold public liability insurance and can send you a copy on request along with photos of my work. Katy was punctual and easy to communicate with. And she worked quickly to get as many people glammed up as possible. Would definitely recommend! Katy was fantastic at painting and with the children. Would definitely book again. No I don't limit the number of children that you can invite to the party however I paint 10-15 faces per hour so if you had more children coming and you think they all might like their faces painted then I'd recommend booking 2 painters. No, but as I'm not face painting alone with the children it's not needed. When I'm at an event or party there is always either the host present or the child's parent or guardian present. 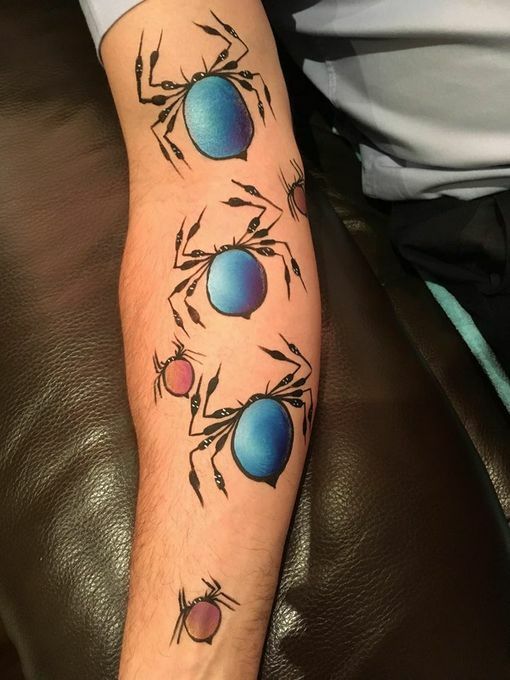 Usually I'm in a room where the party is being held and there are lots of the children's parents still present whilst I face paint. 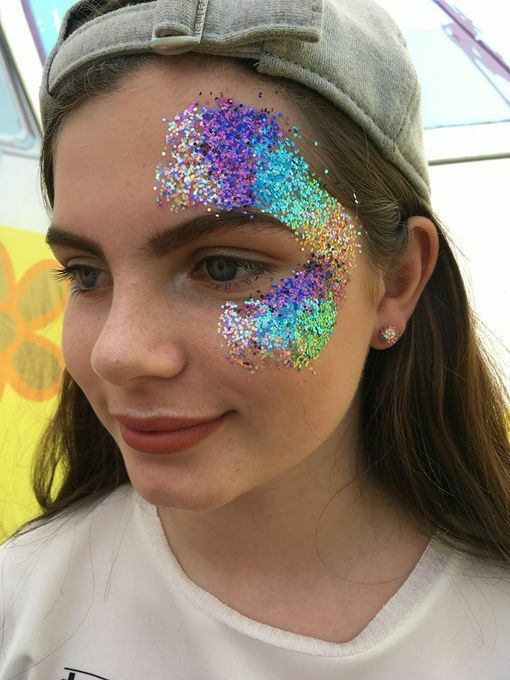 I added face painting to my business in 2014 so I have 3 and a half years experience working with children whilst face painting. In the past I've volunteered as a teaching assistant with special needs children in year 7, 8 and 9. I've also had experience volunteering as an assistant in nursery schools. Yes and I can provide a copy of it on request. I arrive 15 minutes early to set up for a party.